One of the top advertised features of the latest generation iPhone is Live Photos, short GIF-like video snippets that are captured in conjunction with standard photos. Their proprietary nature, however, means there are very few platforms that support the sharing of Live Photos and in our social media-dominated world, something that can't be shared is of little importance. 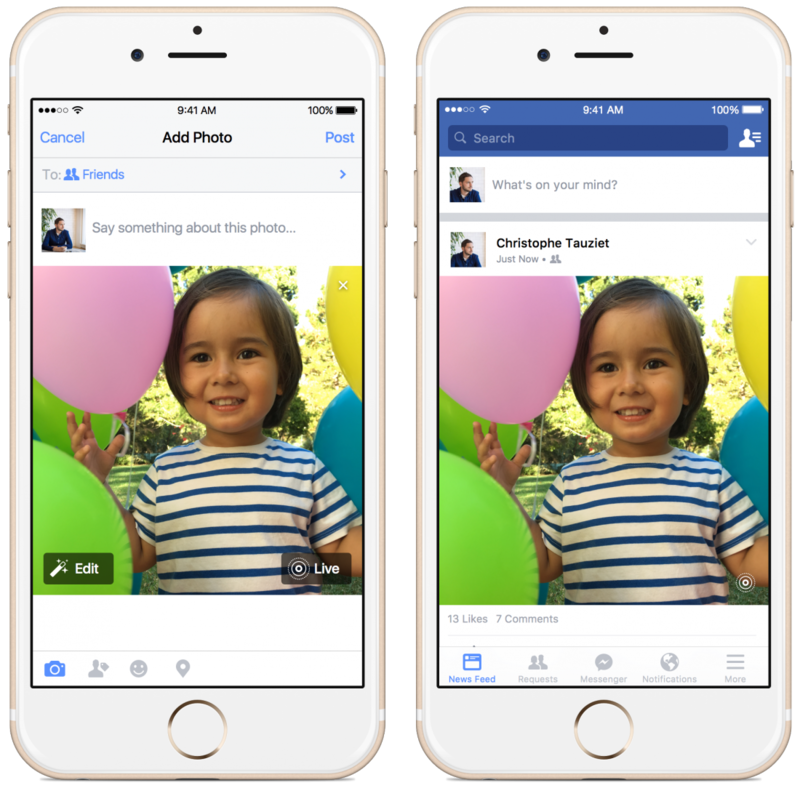 Thanks to Facebook, you'll soon be hearing (and seeing) a whole lot more about Live Photos (that is, if you have an iOS 9 device). The world's largest social network on Monday began rolling out support for Live Photos through their iOS app. Uploading is a breeze - during a standard photo upload, you'll notice a box that says "LIVE" in the bottom right corner of Live Photos images. If you want to upload the photo as a Live Photo, simply tap the LIVE box; if you'd rather it be a standard photo, take no action. The fact that you need to "manually" upload Live Photos each time may seem like a drag but in actuality, it's probably for the best. With the feature enabled on your iPhone 6s or iPhone 6s Plus, it's easy to forget that it is on. Uploading every single photo to Facebook could have its consequences if you haven't properly screened each clip. In my review of the iPhone 6s Plus earlier this year, I found Live Photos to be little more than a gimmick. While I'm sure it has its applications, I couldn't help but feel that it would go unused by many - even after some tweaks in October. With Tumblr recently adding support and now Facebook, the feature's outlook suddenly looks a lot brighter. If you don't already see the option for Live Photo uploads, don't fret as Facebook is rolling the feature out slowly through the beginning of next year.